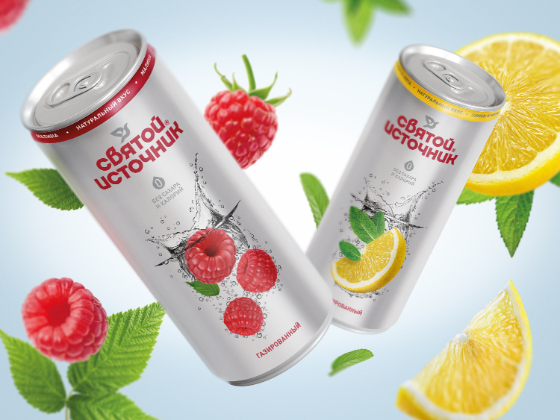 DDC.Lab agency has developed design of a sleek can (330 ml) for a new sub-brand of sparkling water «Svyatoy Istochnik» (Brand #1 on Russian bottled water market). The new sub-brand is a water from natural sources without sugar and calories with a natural fruit flavors. This is a product for those who are always on the move and want to enjoy only real taste without harm to their health and shape. Therefore the agency has created a «transparent» minimalistic design with an emphasis on lightness and naturalness of water category (instead of colorful carbonated soft drinks category designs). 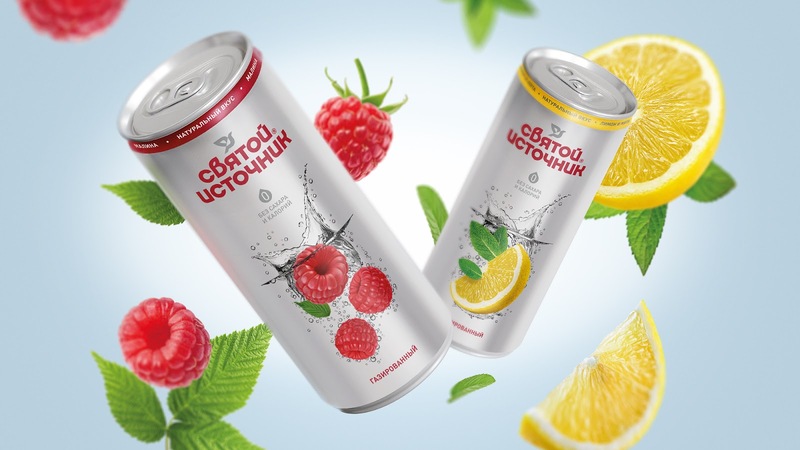 On the label of the product presented composition only of pure water and fruits. 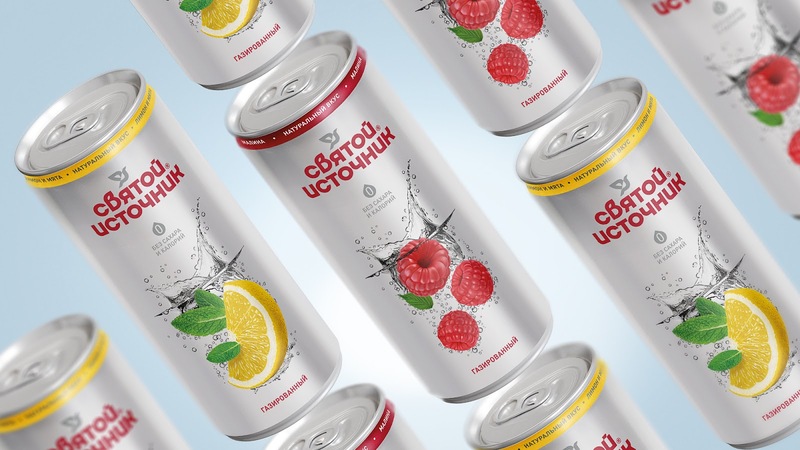 The packaging design is made in pristine natural colors, the packaging itself is simple in shape — everything speaks of the lightness of the drink. The label conveys the sounds of a refreshing splash of water and sizzling hiss, ensuring you get rid of thirst. The created style will allow to easily expand the product line in the future.